Beaverton, OR. –The Harry & Jeanette Weinberg Foundation’s Board of Trustees has awarded B’nai B’rith Camp (BB Camp) a capital grant of $368,000. This grant completes the funding for the Mercaz Campus Center. The Weinberg Foundation was particularly interested in B’nai B’rith Camp due to a history of excellence serving youth with disabilities and special needs. The Mercaz Campus Center was completed in July 2017 and is the new central gathering place at B’nai B’rith Camp. A generous no-interest loan of $750,000 from the Foundation for Jewish Camp made it possible to complete the construction. The building features new arts & crafts spaces, a flexible programming room, and a new home for the BB Day Camp which serves primarily low income children from Lincoln County. The Mercaz centralizes office space to create more synergy among the camper care team and provides space for Inclusion Specialists to work in small groups and one-on-one with campers. 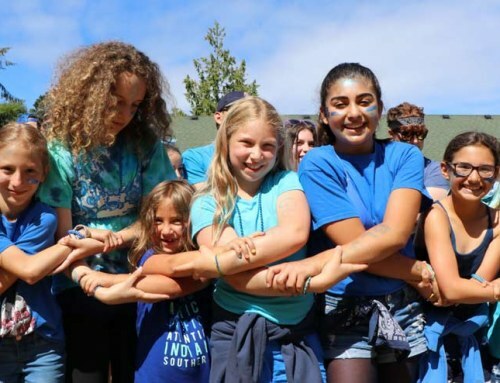 The gift from the Weinberg Foundation propels B’nai B’rith Camp past the $9 million mark in the ten-year Second Century Campaign. The Campaign has a goal to raise $13.3 million to completely rebuild the campus before the 100th Anniversary of BB Camp in 2021. The Campaign began when the B’nai Brith Men’s Camp Association (BBMCA) purchased BB Camp from the Mittleman Jewish Community Center in 2009 and includes a total of $3 million in support from BBMCA. During the quiet phase of the campaign many leadership donors stepped forward and made BB Camp a philanthropic priority including Jeff & Judy Greenstein, Stan Litt, Don Loeb and the Loeb Family Foundation, Ken & Mary Unkeles, Howard & Linda Davis, David & Katie Gold, Howard & Wendy Liebreich, the Meyer Memorial Trust, the Ford Family Foundation, the Harold Grinspoon Foundation, the Marcus Foundation, the Jay & Diane Zidell Foundation, and Charlene Zidell. 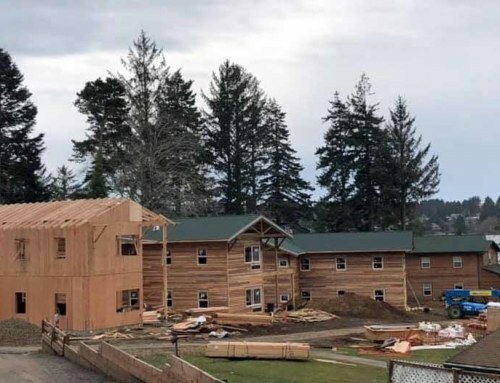 In addition to the Mercaz, construction to date includes replacement of the 85-year-old original dining hall, a model double cabin, the Mendelson Wellness Center, and a new Lakeside Lodge. The public phase of the campaign will fund the remaining projects including the replacement of all remaining cabins with sustainable double cabins, building a full-sized gym and auditorium, purchasing property adjacent to BB Camp’s relatively small campus, and improving the overall grounds. The goal is to raise $3.4 million additional dollars to fund these projects and $1 million in scholarship and capital endowment. A plaque honoring the Weinberg Foundation will be hung in the lobby of the Mercaz Campus Center at a ceremony later in 2017. If you are interested in learning more about the Second Century Campaign or B’nai B’rith Camp please contact Capital Campaign Director, Aaron Pearlman, at apearlman@bbcamp.org or 503-345-9476. The Harry and Jeanette Weinberg Foundation, one of the largest private charitable foundations in the United States, provides approximately $100 million in annual grants to nonprofits that provide direct services to low-income and vulnerable individuals and families, primarily in the United States and Israel. Grants are focused on meeting basic needs and enabling an individual to live as independently as possible. Within that focus, emphasis is placed on serving older adults and the Jewish community. The Weinberg Foundation provides hundreds of grants annually to nonprofits that provide direct services to low-income and vulnerable individuals and families. Since 1980, the Foundation has distributed grants totaling nearly $2 billion. Other funding goals for the Foundation include preparing the workforce for 21st century jobs, providing high quality education for children, increasing the independence and integration of people with disabilities, ensuring that people’s basic needs are met, and supporting military members and their families.